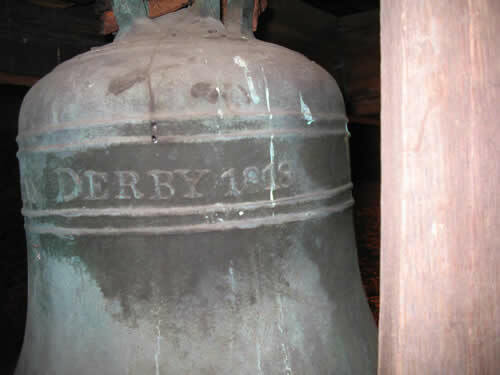 Just over a mile from Meerbrook, there used to be an abbey known as DIEU LE CRES, the originations of which started in 1214 when The Earl of Chester, who was at that time probably only second in authority and power to the King in England, granted a large estate in North Staffordshire to a monastry in Poulton, some nine miles south of Chester. In that year 14 of the monks took possession of the estate and commenced the building of the Abbey on the banks of the river Churnett. 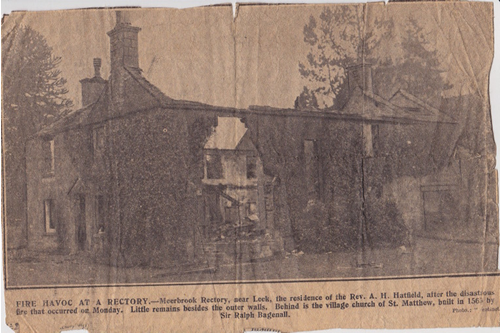 Some time later, the monks built a small church at Meerbrook that was one of the two forerunners of the present building known as St. Matthews. Many of the scattered farms between were the Granges of the Lay Brothers. In 1538 came the dissolution of the Monastries and it is thought that at that time, the church at Meerbrook probably became officially disused for a number of years, although almost certainly people would still congregate for their own worshipping requirements. When the Protestant Church became the main religion known as the Church of England, Meerbrook church was rebuilt and endowed on Protestant lines by Sir Ralph Bagnall who vested it with 7 Trustees in a deed dated 2nd February, 1564. 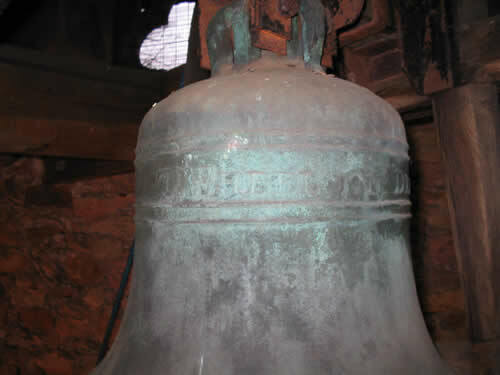 (1) The Church of England Register for St Matthew's began in 1738 and in Staffordshire Records Office are held the Baptism records from 1738 to 1925, and the Burials from 1738 to 1812. (2) The Bishop's Transcripts relating to St Matthew's dated 1791 to 1863 are held in Lichfield Records Office. (3) It has been discovered that there is a watercolour of the church at around 1850 held in the William Salt Library in Stafford, painted some 16 to 18 years before it was demolished prior to the building of the existing church. Incidentally, it was necessary to correct the records relating to this painting at the library because it had erroneously been named as St Mary's Church. A small copy of the painting is attached at Appendix 'A' but it has been possible to obtain a larger high quality copy measuring 17" X 12". Work on building the present church started in 1868 and was finished in 1873. There is some confusion over who the architect was as Lichfield records show it as Andrew Capper. However, the more likely person was Richard Norman Shaw b1831 d1912. Attached at Appendix 'B' is a copy of the ground plan with reference book entry with book entry number as submitted by R. N. Shaw, but interestingly this is after the work was completed in 1874. The same reference book(4) shows that plans were submitted for approval which was granted in 1870, after the work had started. It could therefore have been originally Andrew Capper with the work being taken over part way through construction by Norman Shaw. (5) Certainly Norman Shaw was a well known architect for designing churches in his time, and in fact was well known anyway as evidenced by his largest public building design which was New Scotland Yard in Whitehall. This is as far as research has gone to date but it is hoped to carry on and piece together a reasonably full record of Meerbrook Church. (1) The whereabouts of this deed is being investigated. (2) It is intended to establish from this office why they stopped on these dates and where are the others since. (3) The same comments apply as for (2) above. (4) The book is Staffordshire Planning Applications, Vol 20, pages 201.294. 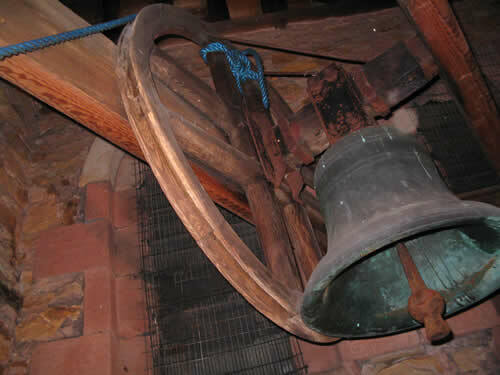 (5) It is thought this point is of sufficient interest to warrant further investigation both in Lichfield records and Church of England Property Office. 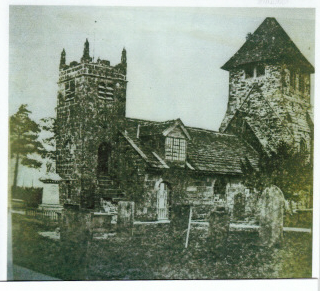 This photograph shows Meerbrook Church being rebuilt about 1870. Both the new and old towers are in place. 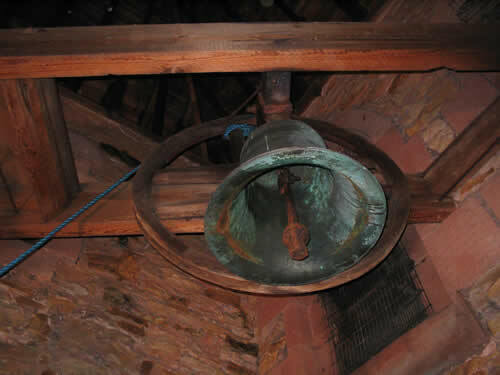 Below are pictures of the bells in the bell tower of Meerbrook Church taken in 2011. The list below is a result of a search of the records at Lichfield Record Office on the activities at Meerbrook Church. 1898: placing of stained glass window on the north side of the nave. 1906: removal of the plain glass from one of the north windows and the substitution of stained glass with an inscription in memory of the late Sir Philip Lancaster Brocklehurst. 1906: removal of the plain glass from one of the south windows, the substitution of stained glass with an inscription in memory of the late Frances Bowring. 1934: the formation of a children's corner with altar reredos and communion rail in the south east corner of the nave. 1947: reserving a piece of ground in the churchyard as a private burial place for Mrs Margaret Catherine Pimlott. 1949: reserving a piece of ground in the churchyard as a private burial place for Thomas Hine. 1949: reserving a piece of ground in the churchyard as a private burial place for Frederick Alcock. 1950: reserving a piece of ground in the churchyard as a private burial place for Ernest Brookes. 1951: reserving a piece of ground in the churchyard as a private burial place for Joseph Belfield.